Did someone you love suffer elder abuse or neglect at Bourne Manor Extended Care Facility? Our lawyers can help. Bourne Manor Extended Care Facility is a non-profit, 142-bed Medicare/Medicaid certified skilled nursing facility that provides services to the residents of Bourne, Buzzards Bay, Wareham, Sandwich, Mashpee, Carver, Falmouth, Plymouth, Acushnet, Fairhaven, Kingston, New Bedford, Yarmouth, Lakebille, Dennis, Duxbury, South Yarmouth and the other towns in and surrounding Barnstable County, Massachusetts. Bourne Manor Extended Care Facility focuses on 24 hour care, respite care, hospice care and rehabilitation services. 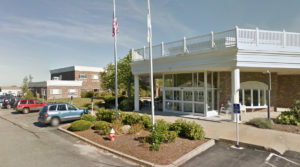 As of 2017, Bourne Manor Extended Care in Buzzards Bay (Bourne) Massachusetts received a rating of 1 out of 5 stars. The Federal Government fined Bourne Manor Extended Care Facility $70,140 on 12/02/2016 for health and safety violations. The facility failed to ensure services provided by the nursing facility meet professional standards of quality. Based on record review and staff interview, the facility failed to meet professional standards of practice for medication administration for 1 Resident (#15) of 24 sampled Residents. Standard reference: Standard of Practice Reference: Pursuant to Massachusetts General Law (M.G.L. ), Chapter 112, individuals are given the designation of registered nurse and practical nurse which includes the responsibility to provide nursing care. Pursuant to the Code of Massachusetts Regulation (CMR) 244, Rules and Regulations 3.02 and 3.04 define the responsibilities and functions of a registered nurse and practical nurse respectively. The regulations stipulate that both the registered nurse and the practical nurse bear full responsibility for systematically assessing health status and recording the related health data. They also stipulate that both the registered nurse and the practical nurse incorporate into the plan of care, and implement prescribed medical regimens. The rules and regulations 9.03 define Standards of Conduct for Nurses where it is stipulated that a nurse licensed by the Board shall engage in the practice of nursing accordance with accepted Standards of Practice. Resident #15 was admitted to the facility from an acute hospital stay in 9/2017 with [DIAGNOSES REDACTED]. Review of the hospital discharge summary dated 9/7/17, indicated under medication instructions Please continue to take [MEDICATION NAME] twice a day for a total of 7 days (2 days remained for this order until 9/9/17). Review of the medical record on 9/27/17, including the physician’s admission orders [REDACTED]. Review of the Medication Administration Record [REDACTED].M. through 9/14/17 at 9:00 A.M., 5 days longer than ordered by the physician. On 9/27/17 at 9:40 A.M. the medication error was reviewed with the Unit 1 Nurse Manager who stated she was aware of the error. When asked by the Surveyor if she had completed a medication error report or incident report regarding the error she stated she had not. When asked by the Surveyor what she had done, the Nurse Manager stated she notified the physician and believed she had entered a progress note in the EMR (electronic medical record). On review of the EMR there was no documented evidence of the medication error and no documented evidence that the physician was notified of the medication error. The medication error was reviewed with the facility DNS (Director of Nursing Services) on 9/27/17 at 11:10 A.M. The DNS stated she would initiate a Medication Variance Report. The nursing home failed to keep all essential equipment working safely. Review of the manufacturer’s guidelines states a control solution test should be done when you open a new bottle of test strips. Review of the facility policy states as one of several steps under the heading of Quality Control At a minimum, quality control testing is performed: (step 3)- each time a new vial of strips is opened. On 9/27/17 the quality assurance checks for the facility’s glucometers were reviewed by the surveyor during the audit of the facility’s medication rooms. Unit 1 had 2 glucometers, Unit 2 had 1 glucometer and Unit 3 had 3 glucometers. Review of the glucometer QA checks on Unit 1 was done with the unit charge nurse at 11:10 A.M. on 9/27/17 and indicated that the current test strips were not used to perform the most recent QA check conducted on the 11:00 P.M.- 7:00 A.M. shift on 9/27/17. The documentation indicated that the numbers of the test strips used to conduct the check did not match the numbers on the new test strip bottle currently in use for both glucometers. The unit charge nurse explained (after speaking with the 11-7:00 A.M. nurse) that the nurse did the QA check with the last test strips in the old bottle for each of the 2 glucometers, and then disposed of the bottles and put the new bottle of test strips in to use. There was no evidence that a control solution test was conducted per the manufacturer’s guidelines. Review of the glucometer QA checks on Unit 3 was done at 1:20 P.M. on 9/27/17 with the unit L.P.N. (licensed practical nurse). The documentation indicated that 1 of 3 glucometers in use on the unit had test strip numbers that did not match the numbers on the test strip bottle in use. There was no evidence that a control solution test was conducted per the manufacturer’s guidelines. The Unit L.P.N. was unable to explain why the test strip number was different than the numbers on the test strip bottle that was in use. The findings were reviewed with the DNS (Director of Nursing Services) at 1:30 P.M. on 9/27/17. The nursing home failed to ensure services provided by the nursing facility meet professional standards of quality. **NOTE- TERMS IN BRACKETS HAVE BEEN EDITED TO PROTECT CONFIDENTIALITY** Based on records reviewed and interviews for one of three sampled residents (Resident #1), the Facility failed to ensure that Nurse #3 followed acceptable standards of practice for administering medications. On 7/1/17 and 7/2/17 at 11:30 A.M. and 4:30 P.M., Nurse #3 failed to carefully visually inspect Resident #1’s insulin vial, which was mislabeled by the pharmacy and administered [MEDICATION NAME] N (long acting insulin) instead of the Physician ordered [MEDICATION NAME] (short acting insulin) to Resident #1. Resident #1 required [MEDICATION NAME] (treats low blood sugar) twice on the night shift (11:00 P.M., to 7:00 A.M.) on 7/2/17 at 2:00 A.M. and 2:20 A.M. for a Capillary Blood Glucose (CBG) of 39. Normal Blood Glucose Range 70-100 mg/dL(milligrams per deciliter) and was transferred to the hospital for evaluation. Resident #1 required [MEDICATION NAME] again on the night shift (11:00 P.M. to 7:00 A.M.) on 7/3/17 at 2:05 A.M. for a CBG blood sugar of 30 and was again transferred to the hospital for evaluation and was admitted . The Nursing 2016 Drug Handbook Best Practices and Prevention of Drug Errors, indicated that unusual appearance of a solution may indicate that the wrong drug was provided by the pharmacy,closely examine all solutions before giving them and know what their appearance should be. The Handbook further indicated that incorrect labeling can result in giving the wrong drug, never give a drug whose label is incorrect and to notify the pharmacy immediately and obtain the correctly labeled drug. The Policy titled, Medication Administration-General Guidelines, dated 06/01/10, indicated prior to administration, the medication and dosage schedule on the resident’s Medication Administration Record [REDACTED]. If the label and MAR indicated [REDACTED]. The Policy titled, Administration Procedures for All Medications, dated 09/20/13, indicated nurses should read medication label three times: prior to removing the medication package/container from the cart/drawer; prior to removing the medication from the package/container; and as the package/container is returned to the cart/drawer and to compare the label to MAR. Resident #1’s clinical record indicated he/she was admitted to the facility in August 2015 and his/her medical history included: Type 2 Diabetes, [MEDICAL CONDITION] stage 3, [MEDICATION NAME] degeneration and [MEDICAL CONDITION]. The Significant Change of Status Minimum Data Sheet (MDS) Assessment Form, dated 5/20/17, indicated Resident #1 had severe cognitive impairment. Resident #1’s physician’s orders [REDACTED].M., 11:30 A.M., 4:30 P.M. and HS (hour of sleep) daily. Nurse #3 said she was Resident #3’s nurse during the 10:00 A.M. to 6:00 P.M. shift on 7/1/17 and 7/2/17. Nurse #3 said she administered insulin to Resident #1 at 11:30 A.M. and 4:30 P.M. The Medication Variance Report, dated 7/1/17, indicated at 11:30 A.M. and 4:30 P.M. Resident #1 received [MEDICATION NAME] N insulin instead of [MEDICATION NAME]and had an adverse outcome/effect of [DIAGNOSES REDACTED]. The Nurse Progress Note and The Medical Emergency/Code Blue Flow Sheet, dated 7/2/17, indicated at 2:00 A.M. Resident #1 was non-responsive and when his/her CBG was checked, it was 39. The Nurse Progress Note and The Medical Emergency/Code Blue Flow Sheet indicated [MEDICATION NAME] (treats low blood sugar) was administered, 911 was activated and Resident #1 was transferred to the hospital. The Hospital Emergency Department Report, dated 7/2/17, indicated Resident #1’s final/primary [DIAGNOSES REDACTED]. Resident #1 returned to the Facility from the hospital on [DATE] at approximately 6:10 A.M. The Medical Emergency/Code Blue Flow Sheet, dated 7/3/17, indicated at 2:05 A.M and The. Resident #1 was found in respiratory distress, with a CBG of 30, [MEDICATION NAME] was administered, 911 was activated and he/she was transferred to the hospital for evaluation. The Surveyor interviewed Nurse #3 at 11:03 A.M. on 9/11/17. Nurse #3 said Resident #1’s insulin vial was inside a plastic container with a pharmacy label that read [MEDICATION NAME] with Resident #1’s name. Nurse #3 said she removed the insulin vial from the plastic container, drew up the appropriate amount of insulin to be administered and administered the insulin to Resident #1. Nurse #3 said she did not read what was labeled on the insulin vial inside the plastic container and dispensed the insulin from what the pharmacy label on the plastic container stated. Nurse #3 said she did not notice if the contents of the insulin vial were cloudy (indicating long acting insulin). Nurse #3 said she should have been more vigilant to observe the insulin vial carefully to notice if the fluid in the insulin vial was clear (indicating fast acting insulin) or cloudy (indicating long acting insulin). The Surveyor interviewed the Director of Nurses at 4:00 P.M. on 9/8/17. The Director of Nurses said it is her expectation that Nurse #3 would have paid attention to the insulin vial inside the plastic container, noticed that the fluid in the insulin vial was cloudy not clear, noticed the discrepancy between what the pharmacy label on the plastic container stated, what the pharmacy label on the insulin vial inside the plastic container stated and what the manufacturers label on the insulin vial stated. The nursing home failed to ensure that residents are safe from serious medication errors. **NOTE- TERMS IN BRACKETS HAVE BEEN EDITED TO PROTECT CONFIDENTIALITY** Based on records reviewed and interviews for one of three sampled residents (Resident #1), the Facility failed to ensure that Resident #1 received [MEDICATION NAME]as ordered by the Physician. On 7/1/17 and 7/2/17 at 11:30 A.M. and 4:30 P.M., Nurse #3 administered [MEDICATION NAME] N (long acting insulin) instead of the Physician ordered [MEDICATION NAME] (short acting insulin) to Resident #1. Resident #1 required emergency intervention requiring administration of [MEDICATION NAME] (treats low blood sugar) at 2:00 A.M. on 7/2/17 and 2:05 A.M. on 7/3/17 at the Facility and required transfer to the Emergency Department for evaluation and treatment for [REDACTED]. The Policy titled, Medication Administration-General Guidelines, dated 06/01/10, indicated prior to administration, the medication and dosage schedule on the resident’s Medication Administration Record [REDACTED]. If the label and MAR indicated [REDACTED]. The Policy titled, Administration Procedures for All Medications, dated 09/20/13, indicated nurses should read medication label three times: prior to removing the medication package/container from the cart/drawer; prior to removing the medication from the package/container; and as the package/container is returned to the cart/drawer and to compare the label to MAR. Resident #1’s clinical record indicated he/she was admitted to the facility in August 2015 and his/her medical history included: Type 2 Diabetes, [MEDICAL CONDITION] stage 3, [MEDICATION NAME] degeneration and [MEDICAL CONDITION]. The Significant Change of Status Minimum Data Sheet (MDS) Assessment Form, dated 5/20/17, indicated Resident #1 had severe cognitive impairment. Resident #1’s physician’s orders [REDACTED].M., 11:30 A.M., 4:30 P.M. and HS (hour of sleep) daily. Nurse #3 said she was Resident #3’s nurse during the 10:00 A.M. to 6:00 P.M. shift on 7/1/17 and 7/2/17. Nurse #3 said she administered insulin to Resident #1 at 11:30 A.M. and 4:30 P.M. The Medication Variance Report, dated 7/1/17, indicated at 11:30 A.M. and 4:30 P.M. Resident #1 received [MEDICATION NAME] N insulin instead of [MEDICATION NAME]and had an adverse outcome/effect of [DIAGNOSES REDACTED]. The Nurse Progress Note and The Medical Emergency/Code Blue Flow Sheet, dated 7/2/17, indicated at 2:00 A.M. Resident #1 was non-responsive and when his/her CBG was checked, it was 39. The Nurse Progress Note and The Medical Emergency/Code Blue Flow Sheet indicated [MEDICATION NAME] (treats low blood sugar) was administered, 911 was activated and Resident #1 was transferred to the hospital. The Hospital Emergency Department Report, dated 7/2/17, indicated Resident #1’s final/primary [DIAGNOSES REDACTED]. Resident #1 returned to the Facility from the hospital on [DATE] at approximately 6:10 A.M. The Medical Emergency/Code Blue Flow Sheet, dated 7/3/17, indicated at 2:05 A.M and The. Resident #1 was found in respiratory distress, with a CBG of 30, [MEDICATION NAME] was administered, 911 was activated and he/she was transferred to the hospital for evaluation. The Surveyor interviewed Nurse #3 at 11:03 A.M. on 9/11/17. Nurse #3 said Resident #1’s insulin vial was inside a plastic container with a pharmacy label that read [MEDICATION NAME] with Resident #1’s name. Nurse #3 said she removed the insulin vial from the plastic container, drew up the appropriate amount of insulin to be administered and administered the insulin to Resident #1. Nurse #3 said she did not read what was labeled on the insulin vial inside the plastic container and dispensed the insulin from what the pharmacy label on the plastic container stated. Nurse #3 said she did not notice if the contents of the insulin vial were cloudy (indicating long acting insulin). Nurse #3 said she should have been more vigilant to observe the insulin vial carefully to notice if the fluid in the insulin vial was clear (indicating fast acting insulin) or cloudy (indicating long acting insulin). The nursing home facility failed to maintain drug records and properly mark/label drugs and other similar products according to accepted professional standards. Based on observations, records reviewed and interviews, for one of three sampled residents (Resident #1), the Facility failed to ensure medications were properly labeled from the pharmacy to reflect physician’s orders [REDACTED]. On 7/1/17 and 7/2/17 at 11:30 A.M. and 4:30 P.M., Nurse #3 administered Novolin N (long acting insulin) instead of the Physician ordered Novolog (short acting insulin) to Resident #1. Resident #1 received glucagon (treats low blood sugar) on the night shift (11:00 P.M., to 7:00 A.M.) on 7/2/17 and 7/3/17 and was transferred to the hospital for evaluation. Resident #1 was admitted to the facility in August 2015, medical history included: Type 2 Diabetes, chronic kidney disease stage 3, macular degeneration and vascular dementia. The Significant Change of Status Minimum Data Sheet (MDS) Assessment Form, dated 5/20/17, indicated Resident #1 had severe cognitive impairment. Resident #1’s physician’s orders [REDACTED].M., 11:30 A.M., 4:30 P.M. and HS (hour of sleep) daily. The Medication Variance Report, dated 7/1/17, indicated at 11:30 A.M. and 4:30 P.M. Resident #1 received Novolin N insulin instead of Novolog insulin and had an adverse outcome/effect of [DIAGNOSES REDACTED]. The Medication Variance Report, dated 7/2/17, indicated at 11:30 A.M. and 4:30 P.M. Resident #1 received Novolin N insulin instead of Novolog insulin and had an adverse outcome/effect of [DIAGNOSES REDACTED]. The Surveyor interviewed Nurse #1 at 10:20 A.M. on 9/8/17. Nurse #1 said she went to administer Resident #1’s Novolog on 7/2/17 at 8:30 P.M. and noticed that the fluid in the insulin vial was cloudy and upon further investigation she noted the plastic container had a pharmacy label stating Novolog but manufacturer’s label on the insulin vial inside the plastic container stated Novolin N. Nurse #1 said the pharmacy made an error and dispensed the wrong insulin and labeled it incorrectly. The Surveyor interviewed the Director of Pharmacy at 3:40 P.M. on 9/8/17. The Director of Pharmacy said the process for dispensing insulin was to remove the insulin vial from the manufacturer’s box, label a plastic container with the medication and the physician’s orders [REDACTED]. The Director of Pharmacy said the pharmacy staff did not follow the proper process per policy and there was a breakdown in technique which led to the mislabeling of the insulin. The Surveyor interviewed Nurse #3 at 11:03 A.M. on 9/11/17. Nurse #3 said Resident #1’s insulin vial was inside a plastic container with a pharmacy label that read Novolog with Resident #1’s name. Nurse #3 said she removed the insulin vial from the plastic container, drew up the appropriate amount of insulin to be administered and administered the insulin to Resident #1. Nurse #3 said she did not read what was labeled on the insulin vial inside the plastic container and dispensed the insulin from what the pharmacy label on the plastic container stated. Nurse #3 said she did not notice if the contents of the insulin vial were cloudy (indicating long acting insulin). Nurse #3 said she should have been more vigilant to observe the insulin vial carefully to notice if the fluid in the insulin vial was clear (indicating fast acting insulin) or cloudy (indicating long acting insulin). The Surveyor interviewed the Director of Nurses at 4:00 P.M. on 9/8/17. The Director of Nurses said the Pharmacy dispensed Novolin N insulin instead of Novolog insulin and the pharmacy label on the plastic container indicated Novolog insulin,but the insulin vial itself was labeled by the manufacturer as Novolin N. The Director of Nurses said the Pharmacy had mislabeled Resident #1’s insulin and she notified the Pharmacy of the error.